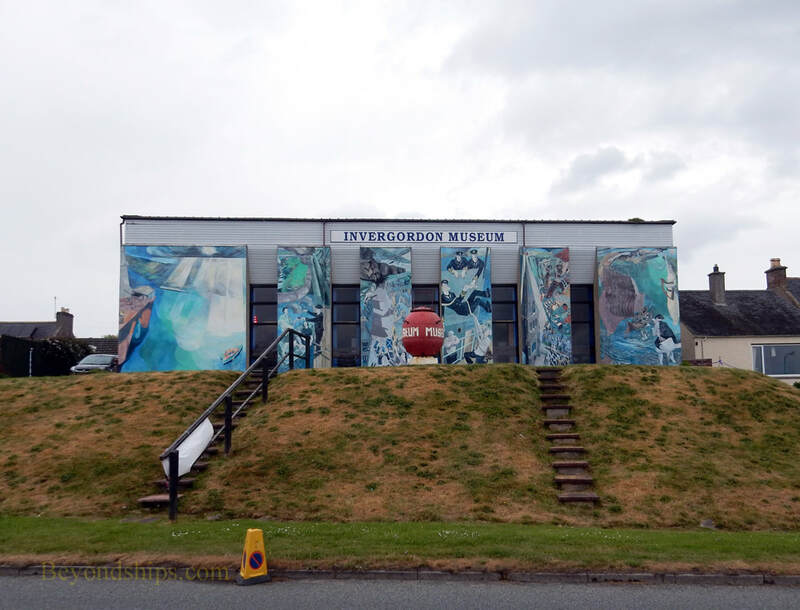 Invergordon serves as a cruise port for the Highlands of Scotland. 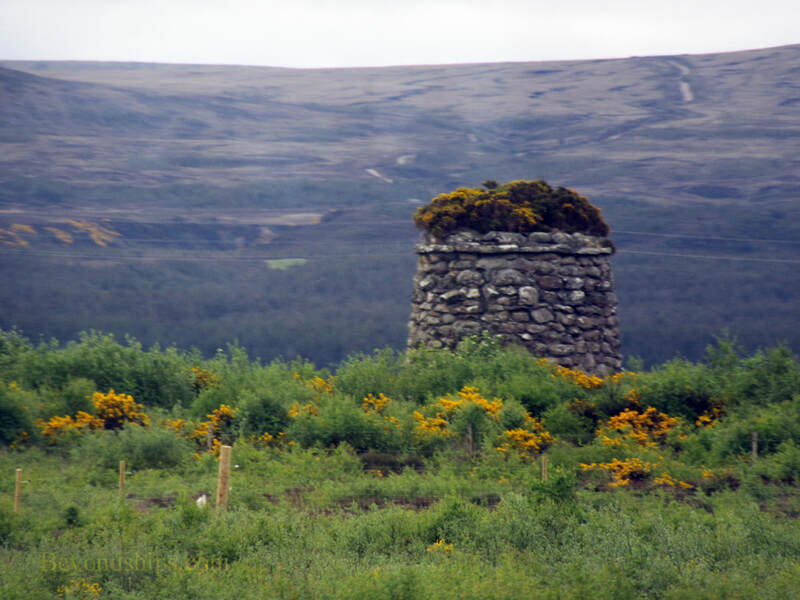 It provides access to attractions such as Loch Ness, Culloden Moor battlefield and the city of Inverness. By some measures, it is the largest cruise port in Scotland. A deep water port, Invergrodon sits beside Caomarty Firth. Its depth allows it to handle large cruise ships. 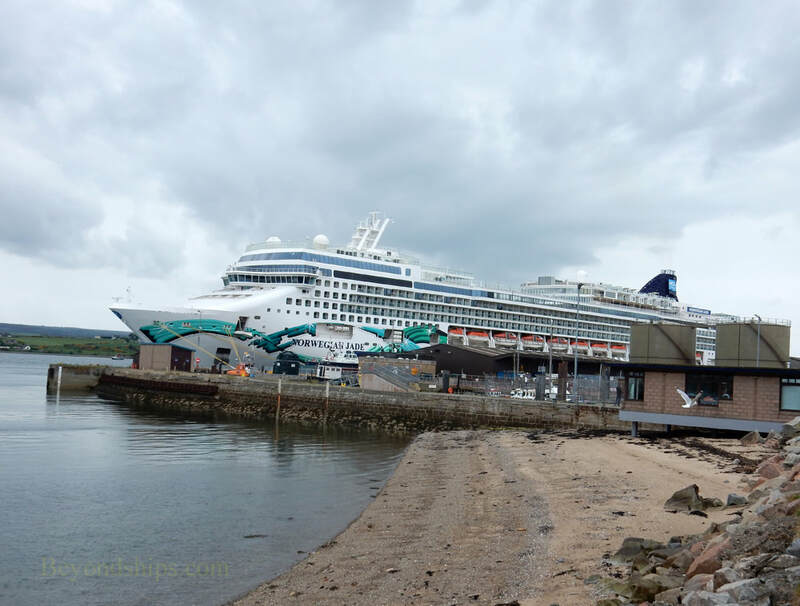 (Some small cruise ships dock in Invernesss). 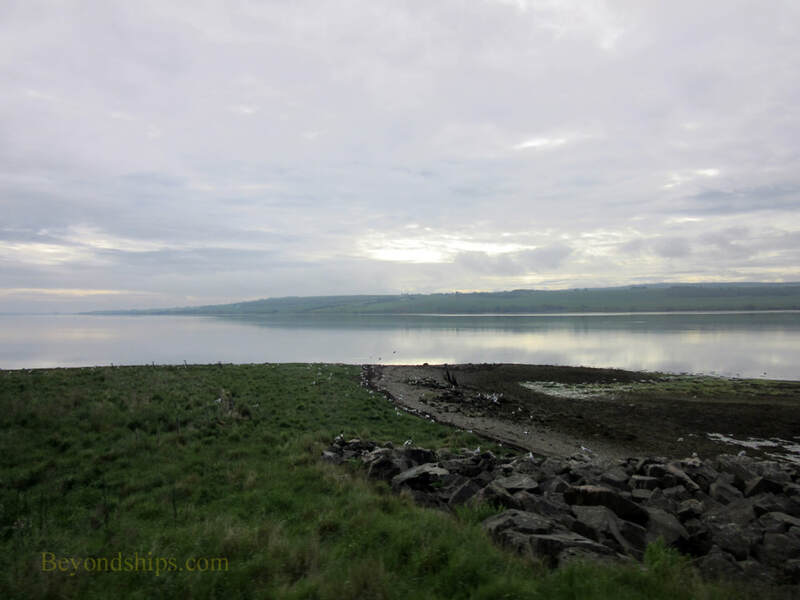 Invergrodon has two piers - - the Admiralty Pier and the Saltburn Pier. These provide four cruise ship berths. Additional ships can anchor in the Loch and tender passengers ashore. 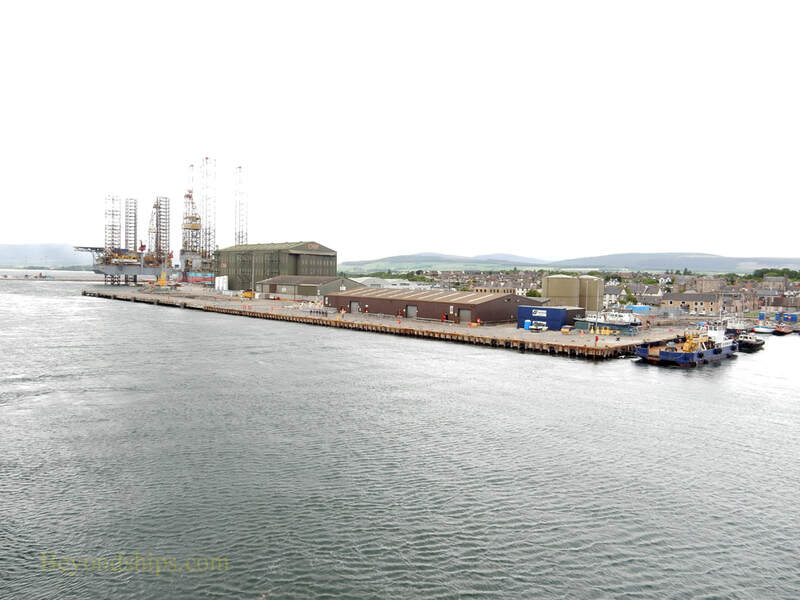 The piers are within walking distance of the small town of Invergordon. 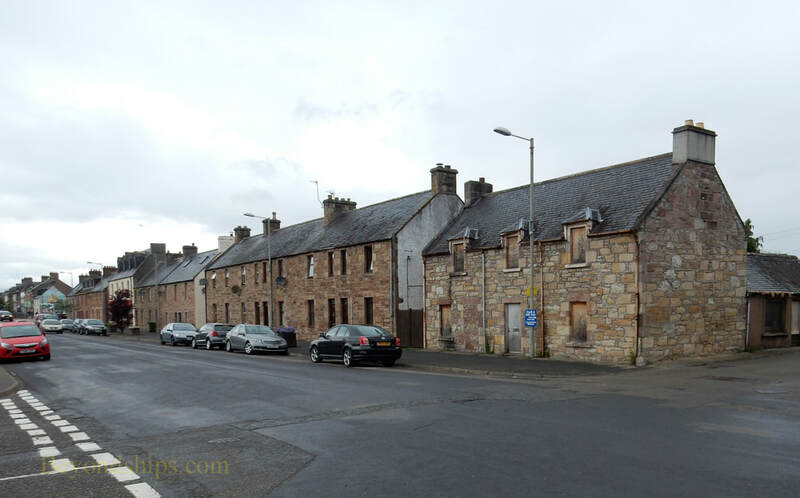 There, visitors will find a few streets with shops and a small museum focusing on the town's history as a naval port and serving the offshore oil industry. It also has 11 giant murals painted on the sides of some of the buildings. A seafarer's center operates in the town church during the cruise ship season. 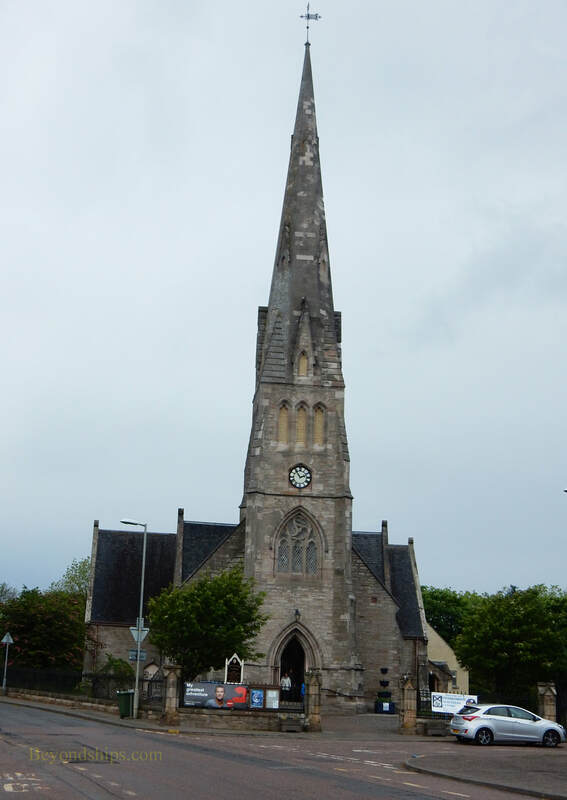 Invergordon has a train station with somewhat infrequent service to Inverness. That city can also be reached by public bus. There are taxis but when a ship is in, the taxis can be in short supply. Most of the attractions in this area are not concentrated close together. Furthermore, most are in the countryside. Consequently, shore excursions and guided tours are often the easiest way to see the sights. Above: Norwegian Jade at the Saltburn Pier. 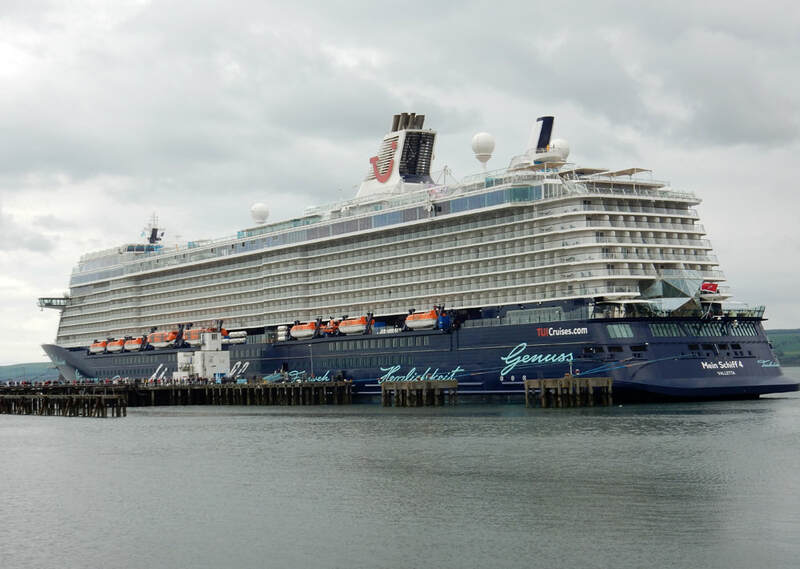 ​​Below: Mein Schiff 4 at the Admiralty pier.. Above: Queen Elizabeth in Invergordon. 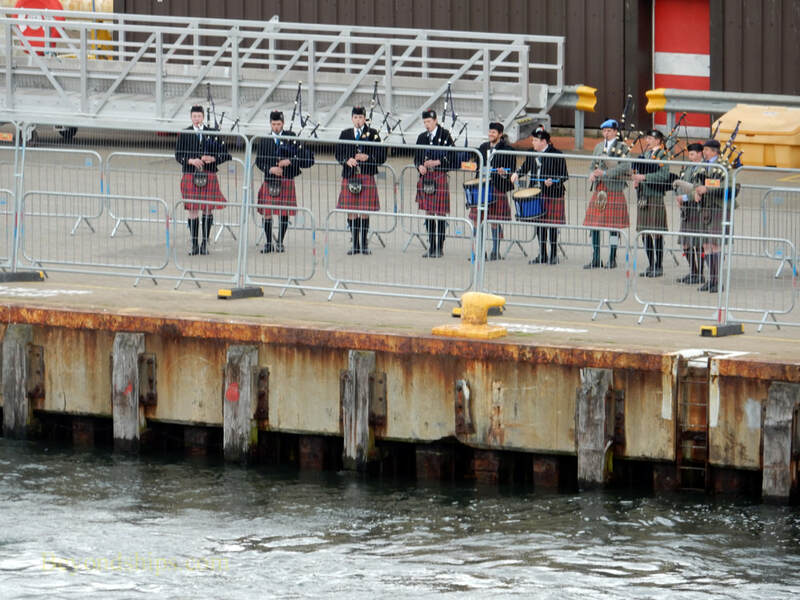 Left: Bagpipers serenading a cruise ship departing from Invergordon. Above: Culloden Moor battlefield where the Jacobite Rebellion led by Bonnie Prince Charlie was defeated by an army loyal to King George II. Left: The local church has a seafarer's center.